A product of parents who were diligent to not repeat their past, she grew up in a fun-loving, peaceful home, where character was important and God’s love was taught and lived out. Rhonda carries this message of transforming hearts and homes for Christ through her writing and speaking. She believes in the power of mentoring and is a product of many women investing into her home and desires to pass on practical tips that will change your life, relationship with Christ, marriage, parenting, and even the tone of your home. 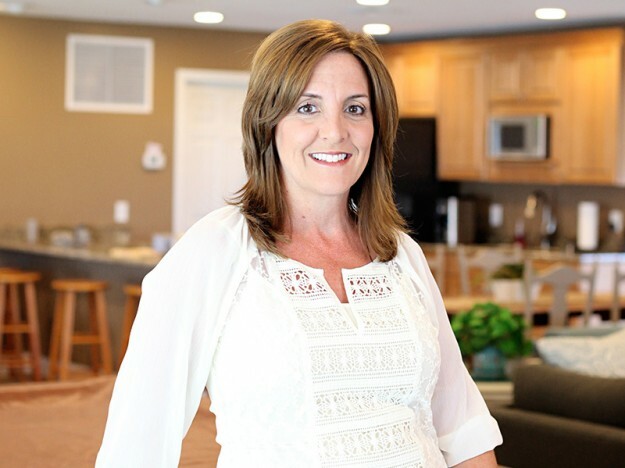 Rhonda has been married 30 years, has six children, has homeschooled more than twenty years, rose to the highest leadership level in her home-based business Creative Memories, and has spoken to groups all across America. She’s a gifted communicator who shares with transparency, humor and depth. She opens her home monthly to teach women on a variety of topics – including growing in Christ, parenting, character, marriage, people skills, friendships, hospitality, #lovingotherswell, and more. Her teaching includes biblical principles and fresh examples from real life. Her passion: God’s word chiseling hearts and in the process, women parenting with purpose and cultivating peaceful homes. 2. For the record, I was in my 40’s when I started this blog…until the next week happened. 5. I write about: my journey with Christ, parenting to the heart, a peaceful home, #lovingotherswell, #danielkickscancer, friendships, mentoring. 6. John and I married in college 31 years ago. 7. The WHY behind my writing and speaking is so that believers truly #liveoutChrist in the easy and difficult times. 8. I LOVE to read your comments and ideas and hear specific ways you’re applying God’s word to your heart, home, and #lovingotherswell. 9. 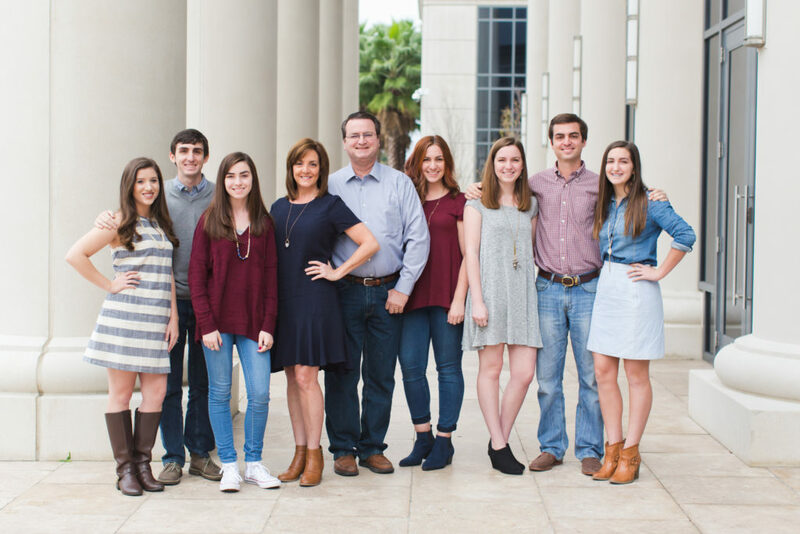 Our six children are ages 27 – 16. 10. Our home has kids and their friends continually coming and going… and we love having them in our lives. 11. My love languages- Quality Time and Words of Affirmation. 12. My first email address was created after the birth of our 4th child. Mine: iwant6kids@aol.com. John’s: Happywith4@aol.com. 14. Ideas dance around in my mind all the time. Squirrel. 16. Favorite Christmas family tradition: writing letters to Jesus on His birthday. 18. Fam TIme is my fav! Talking. Laughing. Spicy Uno. Spades. Netflix. Boating. Skiing. 19. I was a top leader in a home business (Creative Memories) for 21 years- and that’s where my passion and understanding of people skills/leadership skills/business skills grew. 20. Key to people skills: show interest in the other person. 21. I homeskuled for over 20 years until this year. My youngest two love their awesome high school. 22. I have many weaknesses and value the strengths in others. 23. I go on a few annual trips with different groups of girlfriends. 24. CAH became a nonprofit in November 2015. 25. My monthly in-my-home gatherings are called Cultivate. My VIDEOS from Cultivate are free and on this website. Watch alone, with your spouse, and in a group. Share on social media. 26. Largest Cultivate: 120. Topic: homeschooling. Location: our garage. 28. Love sitting around the island in the kitchen with my kids’ friends and hearing about their lives. 29. My four daughters and I share the same middle name. 30. There is freedom apart from legalism. 31.I homeskuled for 20+ years. Until this year when the two youngest were 9th and 11th grades. 32. I know about depression, write about it, and have found Psalms and Job to be incredibly rich. 33. Our fam’s unique passion is hospitality. 35. Love me some quiet. 36. We are University of Florida Gator fans and graduates. 39. You can read more about me in a feature story at PinkCoffeePhoto. 40. I always sign my blog posts/emails with a tagline-hashtag-like thing between my first and intentionally lower-cased last name.